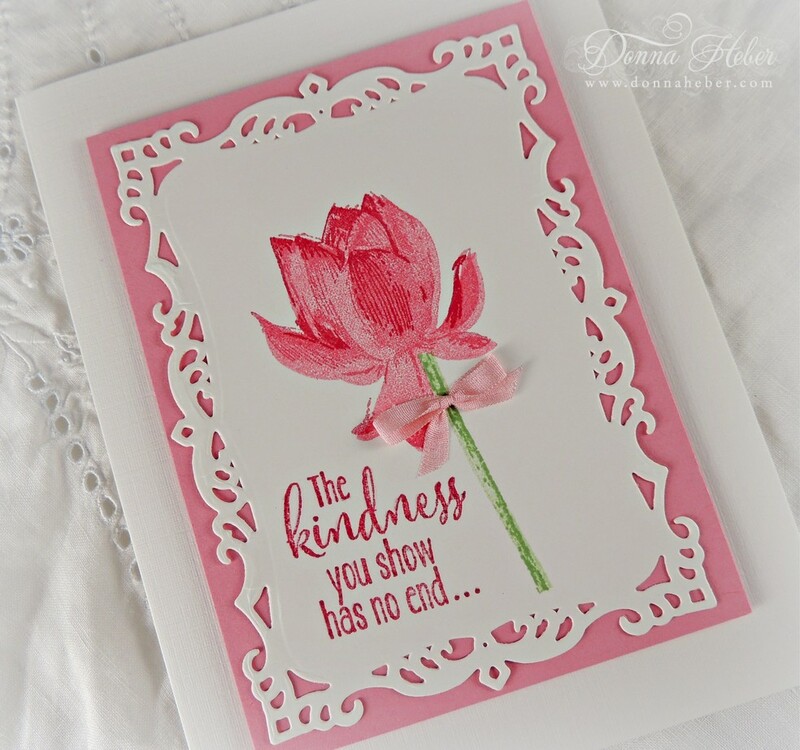 Love your pink tulip card!Hugs,Maristella. 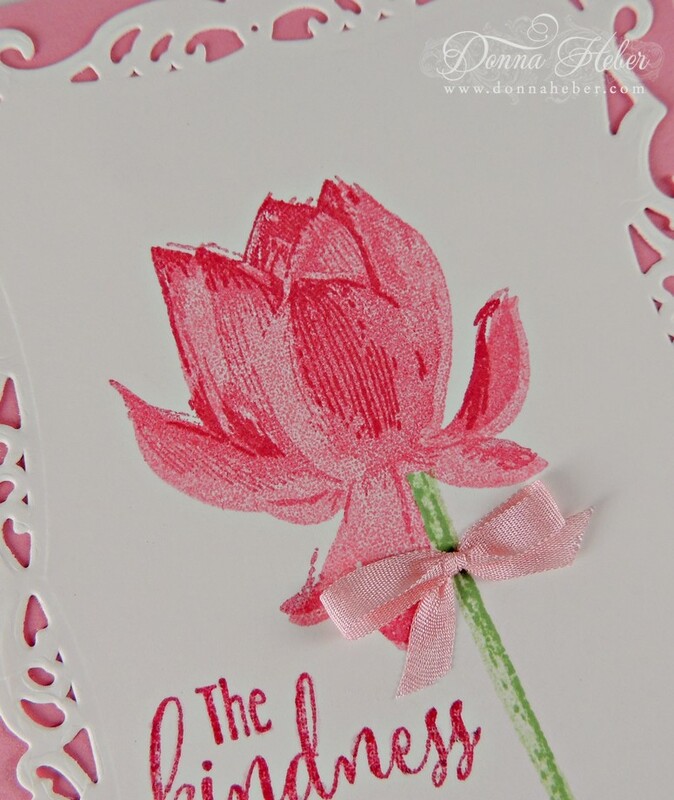 This is another romantic and stunning card. 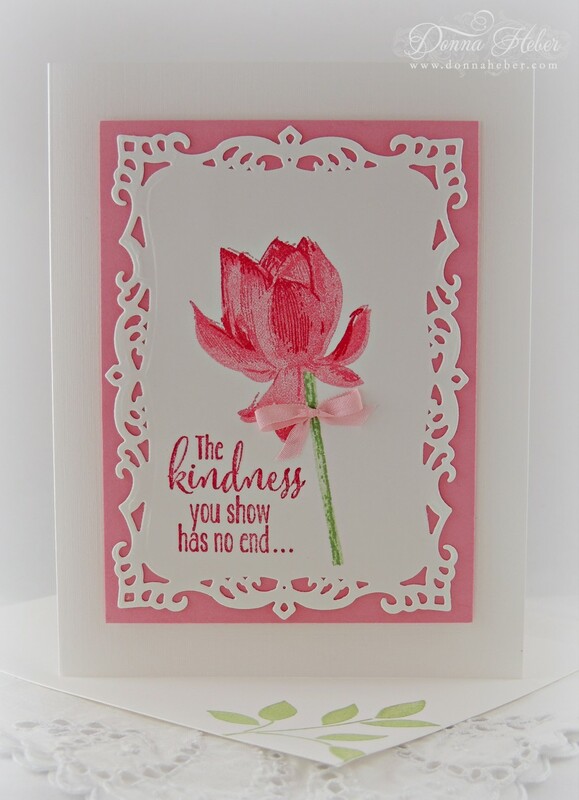 I love the beautiful flower, the quote and the pink colour! 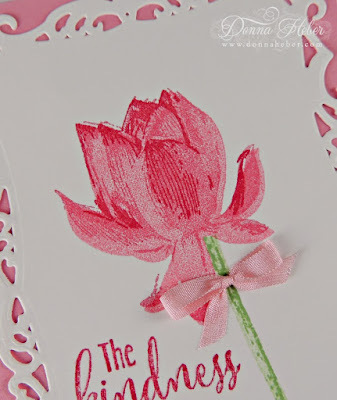 Such a Beautifully simple and made even more Stunning, with just the touch of the simple bow, a WONDERFUL card. 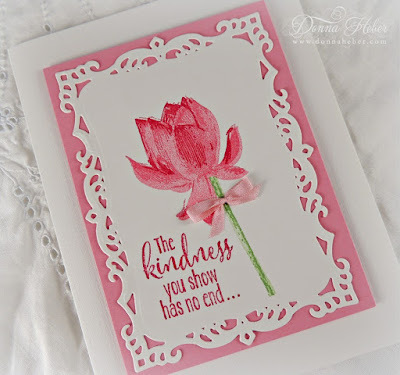 I always enjoy your cards- you have such a nice way of selecting things to go together. I look forward to your garden posts. We had rain for days too and today was our first break. Sunshine and warmer weather. Cheers to spring and flowers! 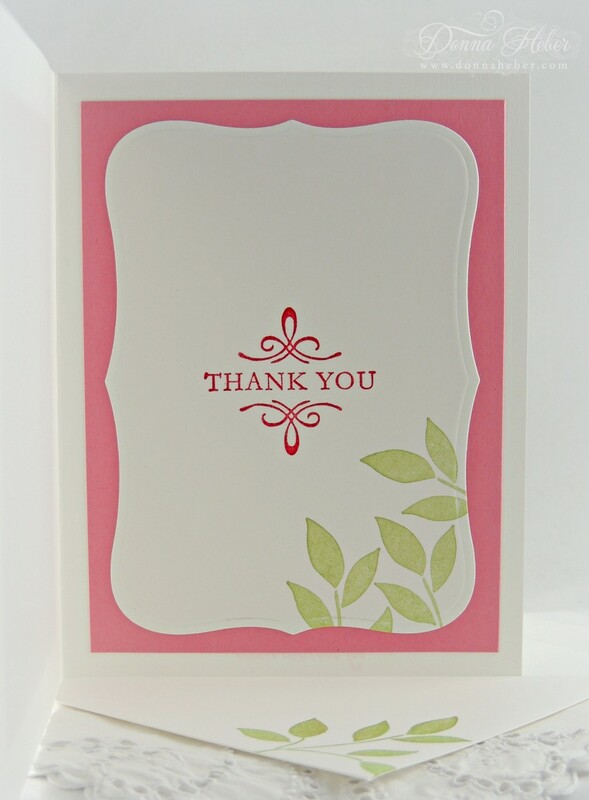 Sending a thank you card like this is a wonderful way to show someone your appreciation! I always have a bunch of thank you notes on hand, but they are rather simple. This is stunning!